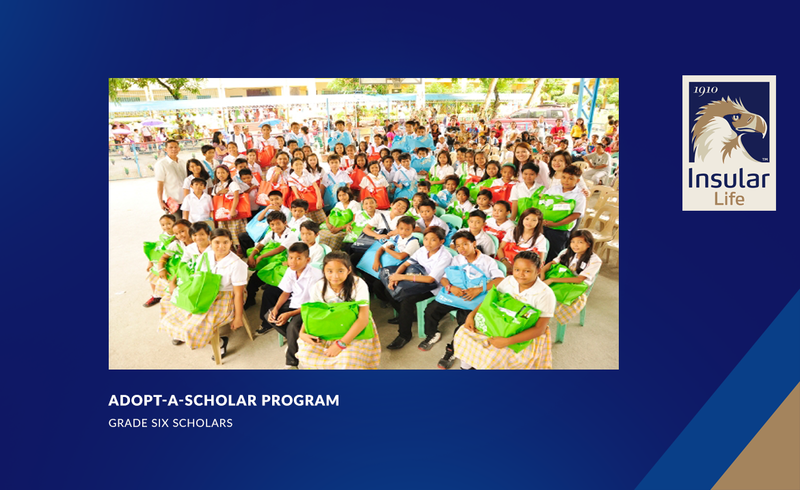 The Grade four and Grade six scholars happily clutch their school materials after the turnover ceremonies for the Adopt-A-Scholar Program. With them are Insular Foundation Administrator Ana Maria R. Soriano, Insular Foundation Program Manager Teresita Melad, and Itaas Elementary School Principal Raul T. Felix. One hundred-fifty-seven Grades four and six students from Itaas Elementary School in Muntinlupa City received their school things consisting of school supplies, uniform and shoes. 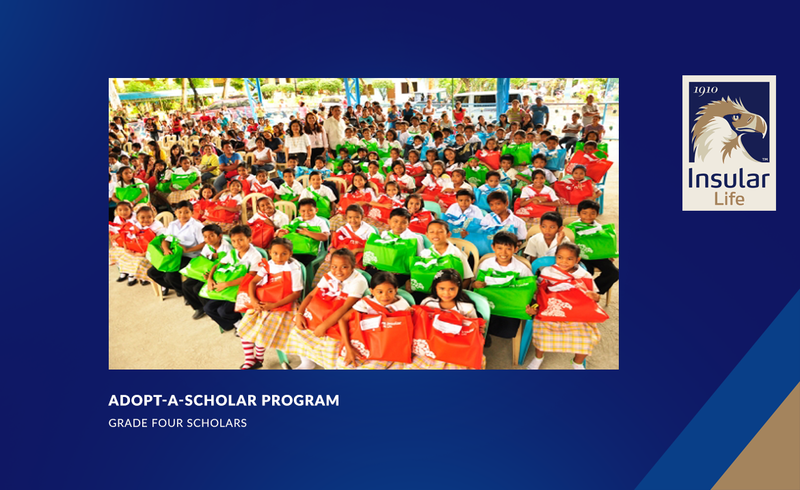 The students are all scholars under the Adopt-A-Scholar Program administered by the Insular Foundation, Inc. The Program is being supported by Insular Life employees who have pledged to provide these school materials to their scholars until they graduate from grade school. The Program, which started in 2003, supports selected students who are mostly children of prisoners, prison guards and the poorest of the poor at the New Bilibid Prison Compound in Muntinlupa City.